Samsung Galaxy S is best-selling Android phone of 2010. It’s successor, Samsung Galaxy S 2 (GT-I9100) is now officially confirmed by Samsung at MWC, Barcelona. 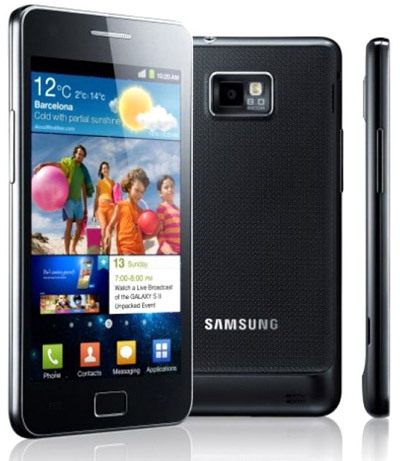 Samsung Galaxy S 2 is powered by latest Android 2.3 Gingerbread OS and powerful 1 Ghz dual-core processor. The device provides all the features of high-end smart phone. Samsung Galaxy S 2 has been equipped with 4.27 inch Super AMOLED Plus display which is the most advanced mobile visual display ever created. It provides a resolution of 480 x 800 pixels. It is capable of taking high quality pictures with its 8 Mega Pixel camera. It is also capable of full HD video recording and playback. This feature rich phone is packed in just 8.49mm thin and lightweight body. It comes with TouchWiz 4.0. It is packed with advanced wireless network (HSPA+ 21) connectivity which promises high-speed internet connectivity. The GALAXY S II also delivers seamless multitasking, switching between applications instantly. Superior 3D hardware performance makes games and video incredibly fast and smooth. 4.2″ screen is massive , i hope the battery can hold up that screen for long hours or else its a useless device . but adding bigger battery means adding bulk to the phone . Samsung Galaxy S looks so similar to iPhone 4. I am a big fan of Galaxy Series, but i wish it has a little bit smaller screen size. Superb display. Liked the phone. Today, all my friends are choosing the samsung galaxy because it has the extra ordinary features as compare to the other phones. Can’t help it, Samsung Galaxy looks stylish and pretty! what’s the release date can anyone tell me..? Galaxy S2 is Really Easy to Use, i have been using it for a while…. Though the cost is very high. I am a big fan of Galaxy Series.